Falls can happen to anyone, but, unfortunately as you grow older falls can become more common and you are more likely to injure yourself. Falling and tripping can be a common occurrence for elderly people for many different reasons. There are several different things you can do as the yourself or the carer, family member or friend looking after the individual in order to prevent the fall occurring in the first place. Eating a healthy diet and drinking plenty of water throughout your day. – The recommended things that contain lots of calcium which strengthens your bones are milk, cheese, leafy greens and vitamin D. By not eating or drinking enough can make you feel dizzy causing you to fall easier. By keeping your bones as healthy and strong as you can will ensure you don’t feel as weak which can be a common cause of falling or tripping. Having medication reviews. – By having regular medication reviews it will ensure that you understand hows best to take your medication and why you are taking your medication. Some people if they are not sure why they are taking a medication may not understand how important it is. Checking your shoes and slippers regularly. – Making sure your shoes and slippers are comfortable for you to walk in, that they are snug and that they have a non-slip sole. By doing this it will ensure that you do not trip over things purely because your shoes fall off from being too big or that they are too uncomfortable causing you to walk different. Avoiding wearing heels when not necessary as this will prevent you from becoming unbalanced. Keeping walking aids at the right height and near you at all times. – Any walking frames or walking sticks should always be at the correct height at this will ensure you do not need to stand funny in order to reach the aid. Having them as close as possible will also ensure that you won’t fall from trying to catch up with the aid. Considering hand rails for steps, stairs or in your bathroom. – By having these aids this will ensure you do not over-reach, stretch or climb to reach things or get places. This will also ensure you can be from A to B with extra support where walking frames or sticks aren’t not accessible. Always try to have your bed and chair at a height that is easy to stand up from. Non-slip mats in bathrooms or shower rooms. – Some flooring when wet can become extremely slippery for anybody. Ensuring there is a non-slip mat will prevent yourself from falling. Removing any trip hazards.- If its possible have fitted texture flooring which isn’t shiny or slippery. Avoid having any loose rugs that will crumple up. Avoid having any frayed carpet and trailing of cables. Ensuring there is enough lighting for you to see and having nightlight if you tend to get up in the night. Thinking ahead and having a torch in case of any lights that may fail is always a good idea so you can see. Keeping active.- By keeping active and exercising this helps to maintain strength, balance, and co-ordination. Norfolk County Council recommend you try to walk for half an hour each day. If what stops you being active is being active on your own there are always groups that may be local to you that will help such as, pilates, bowling etc. Getting your eyesight checked regularly. – Having regular eyesight will prevent you from struggling to see if you need glasses. It will also give you the chance to report any other problems you may have that my be causing you to become unsteady on your feet. If you do wear glasses making sure you always wear them when necessary and not forgetting. Having regular hearing tests.- By having hearing problems or hearing loss this can affect your balance causing you to fall. If you like to drink alcohol, trying to reduce how much you drink.- Your ability to breakdown alcohol will reduce as you get older meaning the alcohol stays in your system for longer. If you’re taking medication this can often react with alcohol making you feel unwell or loose your balance. Too much alcohol in general can make you loose your balance causing you to fall over. These are just some of the things you can do as an individual, as a carer, family member or friend caring for an elderly person to prevent falls from occurring. Even by doing all of the above this does not mean you will never fall but always trying to prevent this from happening will ensure you are protected from any harm. Who can help if you have a fall? There are many different health professionals who can help you if you’ve had a fall or feel like you’re at risk of falling and tell you about the different options available to help you. You should never dismiss it as part of getting older, lack of concentration of just clumsiness. Speaking with your doctor is always a good idea about how to prevent falls. Your doctor is able to assess you and help you to manage your health in the best way possible. They will be able to review any medication you are taking which may be a reason as to why you are falling or feeling unsteady on your feet at times. Your doctor may also refer you to another health professional or service to help gain more information for you. If you have had a fall then its best to try and give your doctor as much information as possible. For example, the time of the day you fell, where you fell, what you were doing when fell and how you were feeling just before you fell. A physiotherapists may be able to help you with things like your balance and to give you strengthening exercises. Physiotherapists are also available to speak with about any equipment you may feel is necessary to have such as a walking frame or stick to help you move about more safely. An occupational therapists are available to assess your home environment for any potential hazards. They are able to help you with any modifications to make your home a safer place for you. Such as rails in bathroom, bedroom or in the corridors of your home. Knowing who you can call to help you, and how to call them. If you have a mobile phone ensuring you always keep this with you so that you are able to call somebody in case of an emergency. 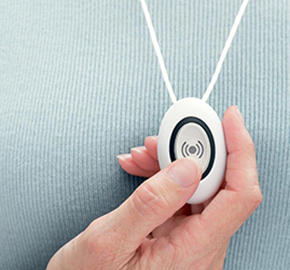 You may want to think about whether it would be useful to get a call alarm bell fitted so that if you do call you can press the button and someone is able to speak to you and give you the help you need. At the touch of a button you can be helped 24 hours a day, 7 days a week offering piece of mind and reassurance. By adding relevant contact number of family member, friends or carers they can be informed 24 hours a day, 7 days a week too if you are in need of help. Alarm call bells are very quick and easy to install. Using the alarm call bell is as well very simple and easy too. The way in which you use one is to simply press the button on your lightweight pendent or wristband. By pressing the button this will connect you to the emergency response team, which means you have no numbers to remember only a button to press. The emergency response team will automatically know who you are and where you live which will take the pressure of you remembering any relevant information. There are many different companies that provide these call bells. A company which provides more information is www.ageuk.co.uk. Using aids to prevent falls. Using aids can assist people to maintain balance and minimise the risk of falling. There are many different aids which you can use inside and outside of your home. These are the two most common aids used by elderly people to help with balancing and support. A simple walking stick. The walking stick could mean you are able to get out and about a lot easier with that little bit of support. When choosing a walking stick it should be carefully selected. It should be the correct height and a suitable weight you are able to cope with. A walking frame. People who suffer with mobility problems are advised to stay as active as possible and a good walking frame will enable them to do this. 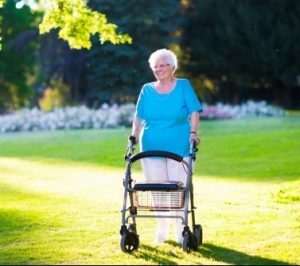 A walking frame should be at the correct height for you personally and you should ensure you keep this as close to you when using it so you do not loose balance. Choosing a light weight walking frame will ensure you are able to move it about easier. 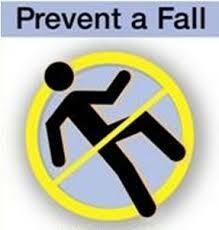 Wondering what steps to take if you do have a fall? Always try your best to keep calm. Take time to think whether you are in pain or injured and what help you think you need? If you are not hurt and you feel you are able to then try to get up but slowly and keep re assessing how you feel. When you get yourself comfortable in a stable chair or bed then rest for a while until you feel okay. Always ensure you tell your GP and someone close to you that you have had a fall, even if you have not been hurt. This is because later on you may develop pain from this fall or other problems. How Extra Care Home Services ltd can help you to prevent a fall. We as a company thrive to help and support people in their own homes. We like to promote independence as much as possible to all our service users. However, we understand that there may be some tasks that you just cannot carry out yourself anymore and need some extra support to do this. We can help to prevent falls by supporting you to do things you feel may cause you to have a fall if you do this on your own. These tasks may be to make your bed, clean the house, make your meals and help you with personal care tasks. We can support you by providing you with outside help from professionals such as OT’s, nurses etc to assess your needs and supply you with aids or suggest other aids you can have around your home to help prevent a fall. Extra Care Home Services Limited is able to provide a wide variety of domestic & gardening services to it's clients in North Walsham and the North Norfolk area. Extra Care Home Services Limited is an ‘Employment Business’ within the meaning of the Employment Agencies Act 1973.